The members of 6 St. James' Hall are delighted to welcome Professor Tim Stephens as a Fellow of the 6 St James' International Legal Practice Group. Professor Stephens is Professor of International Law and Australian Research Council Future Fellow at the University of Sydney. 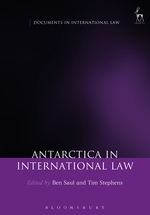 He is also Deputy Director, University of Sydney Marine Studies Institute and President of the Australian and New Zealand Society of International Law. 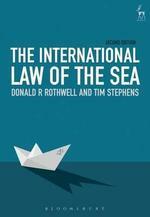 Tim teaches and researches in public international law, with his published work focussing on the international law of the sea, international environmental law and international dispute settlement. 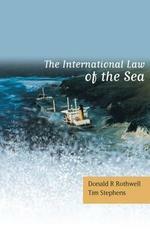 His major career works include The International Law of the Sea - 2nd Edition (Hart, 2nd edition, 2016) with Donald R Rothwell and International Courts and Environmental Protection (Cambridge University Press, 2009). His ARC Future Fellowship research project is examining the implications of the Anthropocene for international law.